Rise of Shadows has just launched. We’ll be updating our Epic Crafting Guide soon, after the meta settles down a bit. 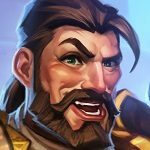 Determining which Epic Hearthstone card to craft can be a tough decision for experienced and new players alike. If you craft a card and find it less useful than initially expected, the best you can get is one-fourth of your Arcane Dust back. Our Hearthstone Epic Crafting Guide will help ease the anxiety of burning 400 dust on a single card. This guide will take you through a logical Crafting Strategy to ease the pain of Standard rotations and focus on those cards that are most likely to get the best value from your dust. For each Hearthstone Set, we provide the Best Cards to Craft and Good Cards to Craft to assist you through your next crafting conundrum. Please note that this guide is intended for Standard players. In Wild, Epic cards have different power levels than in Standard due to additional synergies available in the format. When choosing the next Epic card to craft, you should consider both the strength and set of the cards you’re considering. 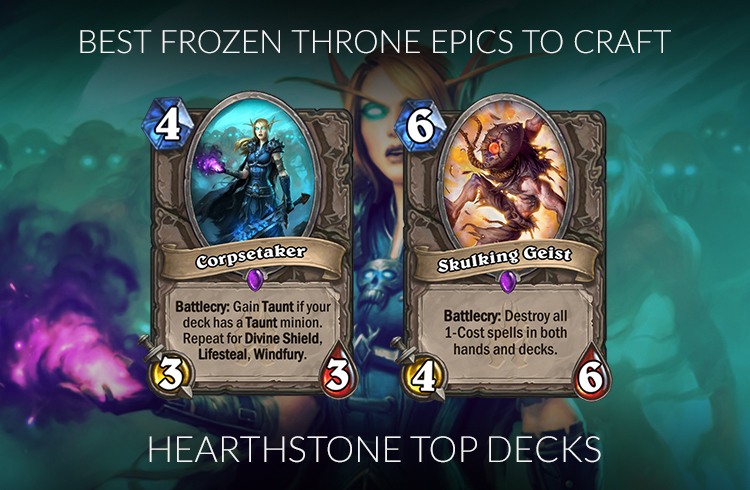 Typically, Neutral Epics fit into more decks and offer the best variety when crafted. As with all class cards, however, class-specific Epics tend to be stronger and offer additional synergy and/or class identity options. Be sure to also check out Legendary crafting guide! 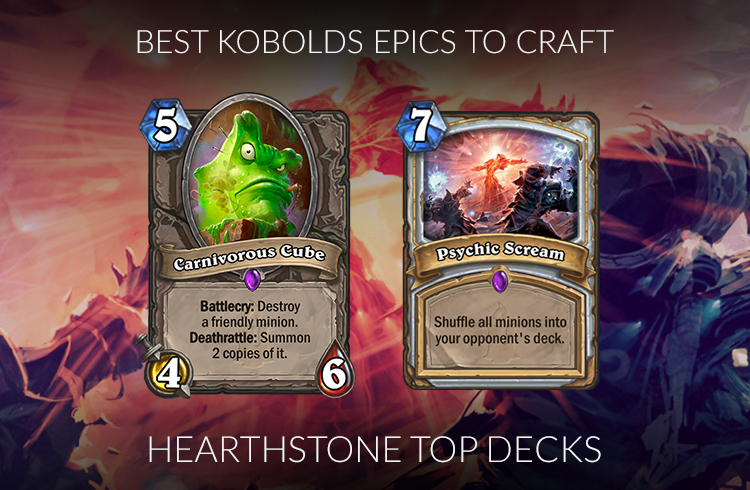 The Best Cards to Craft are either Neutral Epics played in a variety of decks or very powerful, staple class Epics. Good Cards to Craft are Epics that are tech cards, flexible inclusions, or any card that doesn’t see as much play right now or has a high chance of disappearing from the meta when it shifts. In general, cards listed in the Best Cards to Craft for each set should be given priority over those in the Good Cards to Craft. The exception would be if you have a specific deck in mind that is reliant on the card you’re planning to craft. In terms of sets, the best long-term value for your dust is always going to be cards in the Hearthstone Classic Set. Barring retirement into the Hall of Fame, all of these Epic cards will always be included in Standard. Even if crafted cards are banished to Wild, a full dust refund can be expected. After the Classic Set, the sets from the current year should be given priority. Sets remain in Standard for two years, so the current year sets have a longer lifespan than the sets from the prior year. The Hearthstone Classic Set is the core set in the game. Introduced with the game’s release, the set still has many of the game’s strongest Epic cards. 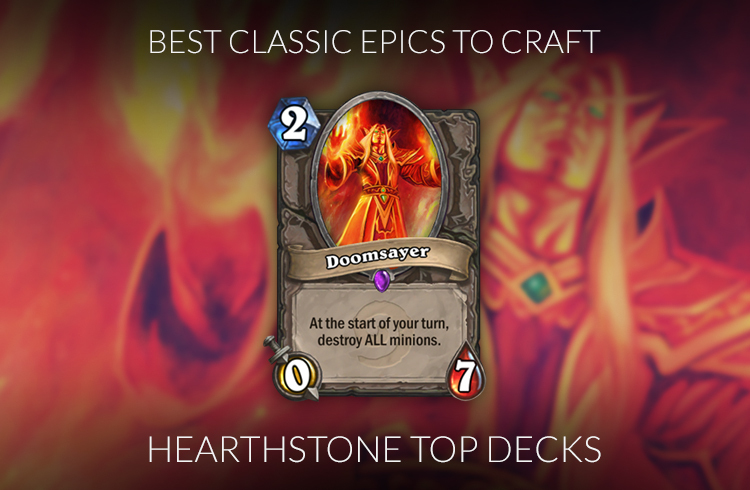 Due to their unrestricted duration in the Standard format, Classic Set Epic cards are more likely to remain playable than those released with expansions. Doomsayer – It’s been one of the most played cards for the last few expansions. Turn 2 Doomsayer often saves your skin against Aggro, and there are some interesting combos like the one with Frost Nova or Spreading Plague vs big boards. I think it’s the Classic Epic that EVERYONE should get (or at least people playing slower decks), because I doubt that it will ever completely disappear from the meta for a long time. There are LOTS of good Epics from the Classic set, but they mostly fit only into a single, specific archetype. Craft them only if you want to play that specific deck. Avenging Wrath – The card was rarely played in the last few years, until Even Paladin became a thing in Witchwood. Ever since then, it’s been a common spell in this build, being utilized as both board clear and burn damage. Brawl – A staple Control Warrior card. It’s also an Odd-costed card, so it fits into Odd Warrior builds. The card will get back into the meta any time there’s a slow Warrior deck out there. Cabal Shadow Priest – One of the most cheeky Priest cards – it has seen play on numerous occasions. It got much better after Kobolds & Catacombs, since you can combo it with Twilight Acolyte to steal anything in the late game. Faceless Manipulator – Faceless Manipulator is usually used as a part of a combo, but it can also be utilized to copy a big minion (either from your side of the board or from the opponent). It mostly goes in and out of the meta with combo decks that use it, but it will always find some uses. Preparation – Staple Rogue card, played in most of the slower and combo-oriented decks. Either to get some extra tempo, make the combos easier, or cycle with Gadgetzan Auctioneer. Pyroblast – Back in the day, it was played in Freeze Mage as one of the finishing spells. Right now it doesn’t see much play, but it’s still the “ultimate” burn spell, and it will definitely be played in the future. Sea Giant – Good card in decks that flood the board, or in a meta with lots of board flood decks. Sees play in decks like Even Shaman and (sometimes) Zoo Warlock. Snake Trap – Snake Trap is one of the best Hunter’s Secrets. Not only 3x 1/1 for 2 mana is great, but those small tokens are Beasts, meaning that they have synergy with cards like Scavenging Hyena or Crackling Razormaw. Shield Slam – Just like Brawl, it’s another Control Warrior staple. Cheap, efficient removal is great, and just like Brawl it fits into the Baku builds. Twisting Nether – Common card in slow Warlock decks. Staple in Control Warlock, not so much in Cube or Even Warlock, but should still be a solid and future-proof craft. 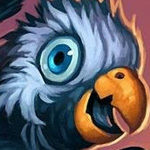 The Year of the Raven consists of The Witchwood, The Boomsday Project and Rastakhan’s Rumble. All three sets will rotate out of the Standard format with the release of the first expansion in 2020 (most likely around April 2020). Master's Call – Like players have suspected, drawing 3 cards for 3 mana is amazing. Hunter’s minion base was always Beast-heavy, so going for only Beasts is not a huge sacrifice. It’s mostly played in Midrange style of Hunter, and I’m quite sure that it will still be played after the rotation. Crowd Roaster – Given that Priest loses its most important Dragon synergy cards with the rotation (Duskbreaker, Twilight Acolyte), I probably would not recommend it, but last time Warrior did gain some reason to play Dragons, and Crowd Roaster has became a solid card in that deck. It would be almost impossible that there will be no Dragon-oriented synergies next expansion, and Crowd Roaster will definitely fit in that style of decks (on top of being a good card before the rotation). 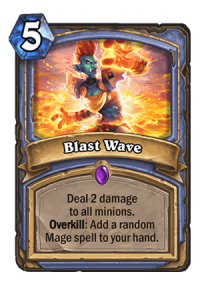 Blast Wave – Given that Odd Mage can’t play the 6 mana board clears such as Blizzard and Meteor, the deck has to settle for Blast Wave. In some matchups, it’s a massive value tool on top of being an AoE spell. While 2 damage for 5 mana is not amazing, it has great synergy with Spell Damage. Smolderthorn Lancer – One of the Warrior’s Dragon synergy cards I’ve mentioned above. 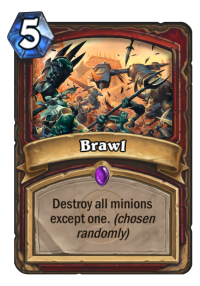 If Warrior will play Dragons (and some of the Odd builds do right now), this will definitely be a staple in that deck, since it’s an Execute strapped into a 3/2 body. What’s even better is that Baku builds can’t play the regular Execute, making this card an amazing single target removal. 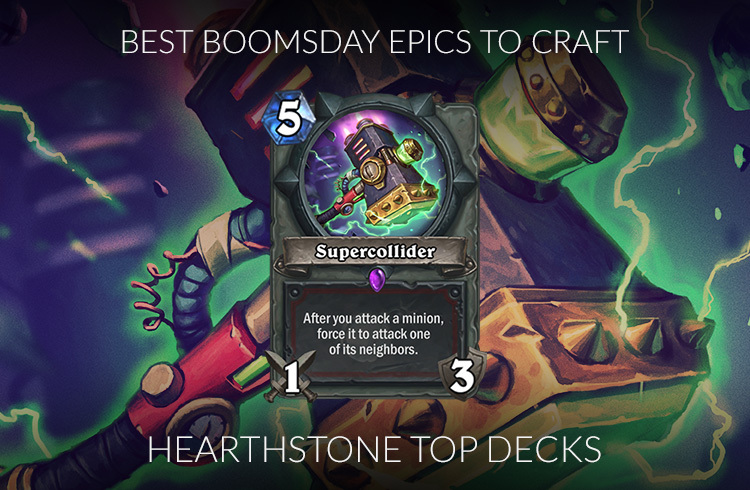 Supercollider – Very underrated card, turned out to be exactly what reactive Warrior decks need. Great mid game removal in Odd Warrior and Odd Quest Warrior, can often clear 5-6 minions with a single card over a few turns. On top of being high value, it makes your opponent’s life miserable, as he has to try his best to play around it, which is not always easy. Astromancer – Used by some of the Big Spell Mage builds. Since your hand size is quite big most of the time, and you don’t really have many proactive plays (especially before you get your Frost Lich Jaina), it works quite well. Crystallizer – Solid 1-drop, comparable to Dire Mole. Good if you need more 1-drops or if you play a deck that synergizes with self-damage. Given that Dire Mole will rotate out soon, Crystallizer might become more popular. Dreampetal Florist – It used to be one of the best Epics from Boomsday before the recent wave of Druid nerfs. Now that the class is nearly out of the ladder, I can no longer recommend this card as much. But if you want to play the combo Druid decks (which are still potent to a certain extent, especially in tournament meta), you might want to craft it anyway. 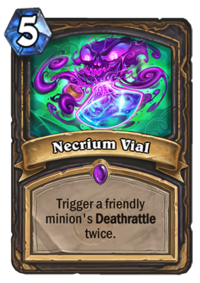 Necrium Vial – Necessary card if you want to play either Deathrattle Rogue or Malygos Rogue, but neither of those is performing amazingly well right now, meaning that it’s more of an off-meta craft. Prismatic Lens – Drawing 2 cards for 4 mana is not the best value, but Paladin doesn’t have a lot of great card draw, so it still has to be played sometimes. You can also make some cute plays like drawing a high cost minion and a low cost spell, then dropping it as a big tempo move earlier than you normally should. Reckless Experimenter – Part of the Mecha'thun Priest combo, craft it only if you want to play that deck. There are currently no Epics from The Witchwood we can recommend as “Best Crafts”. We thought about putting some of them in, but their power is completely reliant on cards that will rotate out soon, so we’ve decided to not do it. 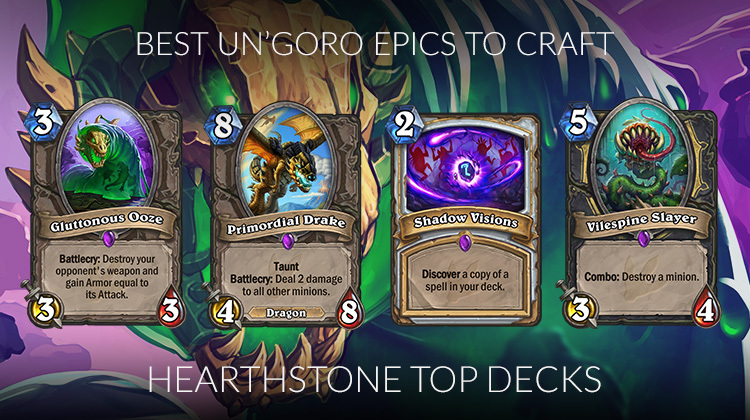 You can still refer to the list of “Good Epics” below if you’re thinking about crafting some Witchwood cards. Arcane Keysmith – You can play Secrets without putting them into your deck, which is nice in lots of situations. Played mostly in Big Spell Mage, but also in some Tempo Mage builds (or rather what’s left of them after Mana Wyrm‘s nerf). 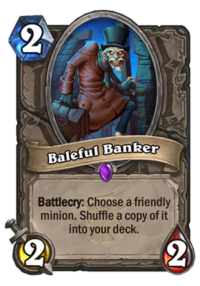 Baleful Banker – A part of the Holy Wrath OTK combo with Shirvallah, the Tiger. When you empty your deck, you want to play 0 mana Shirvallah, Banker it back into your deck and then play Holy Wrath to shoot your opponent for 25. Mossy Horror – When Giggling Inventor was dominating the meta, Mossy Horror was one of the most popular cards in the entire game. After it got nerfed, it was still very useful as a counter to the Druid’s Spreading Plague. 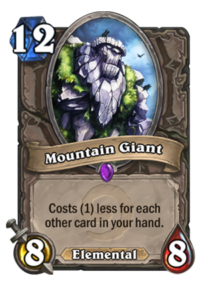 But since Druid was also nerfed, now the card is a little less useful, but it still has its moments, and it might come back into the meta any time a lot of 1-2 attack minions are played. Nightmare Amalgam – A well-rounded minion, which can fit into all sorts of deck archetypes – Dragon, Pirate, Murloc, Mech etc. However, right now decks built around tribes are not very popular. It’s very likely to see more play before it rotates out, though. 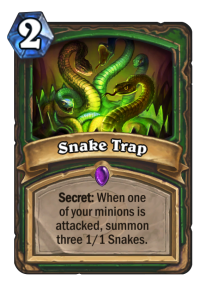 Rat Trap – After Secret package has became more popular in Hunter, Rat Trap became a more mainstream choice. It’s still not a card that’s absolutely necessary in a deck running Secrets and you should be able to replace it, but getting a 2 mana 6/6 out can be a great tempo play, especially after your opponent can no longer deal with it since he already played 3 cards. 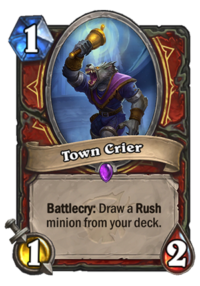 Town Crier – In a vacuum, the card is absolutely nuts – 1/2 for 1, which draws a specific card is amazing. However, it doesn’t see that much play, simply because the Warrior decks with Rush minions aren’t very good/popular. But I believe that it should see more play later during the expansion’s cycle. Vivid Nightmare – A combo card through and through, has became a sort of common tech in Resurrect (Clone) Priest. It makes your combo potential even stronger, since it lets you duplicate a Prophet Velen or Malygos for just 3 mana (and usually even less thanks to Radiant Elemental). The entire deck is based around cards that will rotate out soon, though, so you might want to consider getting only a single copy of holding out for now. 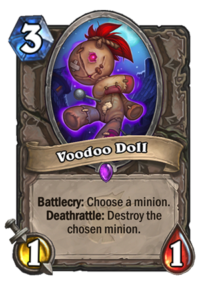 Voodoo Doll – It’s common in Big Spell Mage, and an absolute staple in Odd Mage (since they can’t run Polymorph). Sometimes it sees play in Control Warlock or Mecha’Thun Warlock too, since they can combo it with Defile. And given that both Frost Lich Jaina and Defile both rotate out soon, craft it only if you want to play one of those decks right now. Witch's Cauldron – A pretty common tech in Odd Paladin, the deck that constantly floods the board. The easiest way to lose is running out of steam, and Cauldron can really help with that. Just playing it and sacrificing three 1/1’s gives you a nice card advantage, but then it still sticks on the board and your opponent has to deal with it. Given that Odd Paladin loses some cards in the upcoming rotation, Cauldron might become a more common choice then. The Year of the Mammoth consists of Journey to Un’Goro, Knights of the Frozen Throne, and Kobolds and Catacombs. All three sets will rotate out of the Standard format with the release of the first expansion in 2019 (most likely around April 2019). Gluttonous Ooze – It might not seem like one of the best crafts, since you can replace it with Acidic Swamp Ooze on the budget, but it might be worth your Dust. 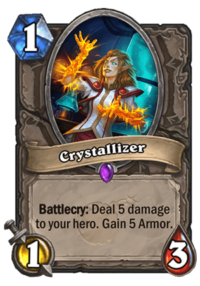 For example, the Armor gain is often important, some decks have a crowded 2-drop slot already and prefer a 3 mana card, and most importantly, some of the decks just can’t play the 2 mana version, because they run either Prince Keleseth or Baku the Mooneater. Primordial Drake – Big Taunt, Dragon (for the sake of synergies), AoE damage, all in one card. It’s a great card in multiple builds and a staple Epic from Un’Goro. Shadow Visions – Current Priest decks are very combo-heavy, and finding the right spell is often do-or-die situation for them. So even though Shadow Visions is really slow, it comes handy most of the time. Vilespine Slayer – One of the best tempo removals in the game – not only you can clear any minion for 5 mana, but you also put a 3/4 body (which is worth 3 mana) into the play. Used in many Rogue decks. Blazecaller – Good card in Elemental builds – it provides big body and a very powerful Battlecry. Since Elemental synergies are focused around minions, having a minion + removal in one is great in those decks. No reason to craft it unless you want to play Elemental decks, which aren’t popular right now, though. Bloodbloom – A necessary piece in Mecha'thun Warlock deck. Once you hit fatigue, you play Mecha’thun (discounted by Galvanizer), Bloodbloom and Cataclysm, immediately winning the game. Mecha’tun Warlock is really niche, though. 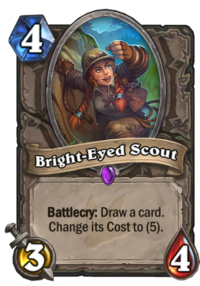 Bright-Eyed Scout – If you run a deck with lots of high cost cards (e.g. Big Spell Mage), then this might be a good card draw option for you. It has above average stats (baseline for a 4 mana card draw is 2/4), and drawing a high cost card you can play on the curve can sometimes win you the game if you hit the right one. 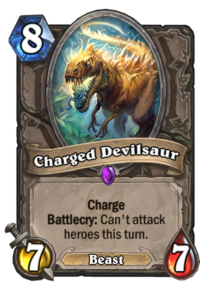 Charged Devilsaur – It’s usually one-of in Deathrattle Hunter, looking to summon it through Kathrena Winterwisp or Oondasta. If summoned and not played from hand, it skips the Battlecry and can attack the opponent immediately. It used to be played in all sorts of combos too, but most of them are no longer viable or very niche. Meteor – Great in slow Mage decks, good combination of single target and AoE removal. Players often forget to play around it, making it even better. Staple if you want to play Big Spell Mage. Primordial Glyph – The card is really good, but the only deck that plays it right now is Tempo Mage, which despite being quite popular is not very powerful. Corpsetaker – 4 mana 3/3 with Taunt, Divine Shield, Lifesteal and Windfury is absolutely nuts and can win the games, especially when buffed. Of course, you have to make some deck building sacrifices, plus it can fail if you draw the synergy cards before it, but dropping it on Turn 4 is such a good play that players still risk it. Staple in Even decks, but also a solid defensive option in e.g. Mecha’thun Warlock. Skulking Geist – Used to be a Jade Druid counter, but it’s just good against any deck running key 1 mana spells. It still works great against Druid (Naturalize), but also against Hunter (Tracking, Hunter's Mark, Play Dead) and some other decks. Gnomeferatu – Between the fact that Control Warlock games often get to fatigue, and that combo decks are quite popular in the meta, Gnomeferatu is a solid card in that deck right now. Obsidian Statue – For a very long time, it was a staple card in Big Priest. After the deck has rotated out, it hasn’t seen a lot of play until recently, when Resurrect (Clone) Priest wanted to run it again. While not every build plays it, one copy is very common. 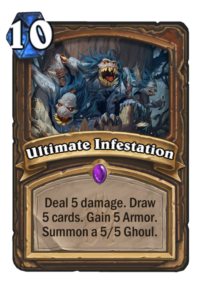 Ultimate Infestation – Used to be the best Epic from Knights of the Frozen Throne, and maybe even the best Epic in general. However, after the recent Druid nerfs, the class as a whole is pretty weak on the ladder, making UI severely underplayed. The best Druid decks right now are centered around Hakkar, the Soulflayer or Mecha'thun and don’t even run it. Still, if you want to play decks like Malygos or Togwaggle Druid, it’s necessary. Carnivorous Cube – This card can give you a lot of value or tempo, depending on what you combo it with. While it started as a nearly exclusively Cube Warlock card, it has seen (and still sees) play in many different decks – Deathrattle Hunter, Taunt Druid, Deathrattle Rogue etc. Psychic Scream – Priest was always known for their powerful AoE board clears, despite the fact that they have none of those in Basic or Classic set. Psychic Scream is nuts, because for 7 mana it unconditionally clears an entire board – including minions with Divine Shield, and doesn’t trigger Deathrattles. Of course, it has a clear downside – shuffling those minions back in your opponent’s deck is bad, but it doesn’t matter against Aggro + if you play a deck with combo finisher (which you probably do if you play Priest), you aren’t winning through fatigue anyway. Arcane Tyrant – When Druid was more popular, it used to be a staple in the class. It still is to a certain extent, but it’s much worse right now after the nerfs. But unlike Druid-only Epics, it can also be played in some other builds, such as Big Spell Mage. Branching Paths – Similarly to Ultimate Infestation from Frozen Throne, Branching Paths used to be one of the best Epics from this set, but the latest wave of Druid nerfs has made an entire class much, much worse. Still necessary if you want to play Druid, but it’s by far the worst class right now. 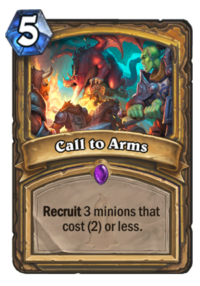 Call to Arms – After the card got nerfed, it hasn’t seen play for a long time. Even Paladin could no longer run it, and Odd Paladin didn’t want to summon three 1-drops for 5 mana. But recently it has started being played again in Exodia Paladin, mostly as a way to thin the deck and draw cards. For example, pulling Righteous Protector, Loot Hoarder and Bloodmage Thalnos thins the deck by 3 immediately, and then you draw 2 more cards, making it very useful in a deck that wants to draw most of the deck as quickly as possible. Cataclysm – Just like Bloodbloom from Un’Goro, Cataclysm is a part of Mecha'thun Warlock combo. It’s absolutely necessary if you want to play it, but a bad card for anything else. Corridor Creeper – Nerfs hit this card hard. It used to be the most common card on the ladder, and after the balance changes it didn’t see almost any play. Right now it’s played in Odd Paladin, because it’s so easy to reduce it cost to 0 when you create that many tokens – and a 0 mana 2/5 is still solid. It can also be played in Tempo Shudderwock Shaman, since the deck runs Unstable Evolution and Thrall, Deathseer, and Creeper is an amazing Evolve target. Dragon's Fury – Absolute staple in Big Spells Mage. The worst case scenario (rolling a Polymorph) is a 4 AoE damage for 5 mana, which is pretty good already. And then rolling a 7 mana spell clears most of the big boards. 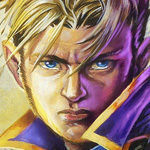 Fal'dorei Strider – Played in Miracle (and Tempo) Rogue as the main “tempo” win condition. While it’s initially a tempo loss (4 mana 4/4 with no immediate effect is bad), given how much the deck can cycle, you should be able to draw the Spider cards quite quickly. In the long run, they put a lot of pressure on the opponent and force him to clear the board again and again. Reckless Flurry – After Sleep with the Fishes has rotated out, Warrior was looking to fill that gap in the AoE removals and Reckless Flurry fits right in. Now that Odd Warrior has gained more popularity, it’s basically one of the most important cards in that build. But between the fact that it rotates out soon and that Odd Warrior isn’t doing as well as some might like right now, craft it only if you really want to play Odd Warrior. To My Side! – While maybe not a must-have, it’s an amazing card if you want to play Spell Hunter, which is the most popular Hunter archetype ever since Rastakhan’s Rumble launch. Twilight Acolyte – Used to be staple when every Priest deck was running Dragon synergies. Right now, those are less common, but Twilight Acolyte is still a solid card, which sees play in some Control builds. Unstable Evolution – Played by Tempo Shudderwock Shaman. It’s not a very popular deck, but some pro players had a lot of success running it. Voidlord – When Cube & Control Warlock were all over the ladder, so were the Voidlords. 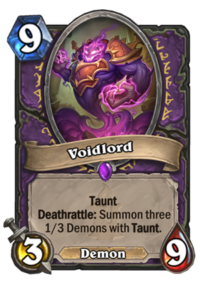 After the balance changes to Possessed Lackey and Dark Pact, Voidlord is not as omnipresent as it once was, but it’s still absolutely necessary in those decks. And while slow Warlock builds aren’t Tier 1, they’re still good decks. Void Ripper – The card was indirectly nerfed after the Druid nerfs, since it was mostly used as a way to counter Spreading Plague. But it’s still not a terrible card and can be used in faster decks to counter some cards, e.g. Doomsayer, or play around certain AoEs. “Spreading Plague vs big boards. I think it’s the Classic Epic that EVERYONE should get” …. ummmm, Classic? Epic Crafting Guide was updated for the Rastakhan’s Rumble Post-Nerf meta. Comments below this one refer to the previous version of this article and might be outdated. Kobolds and Catacombs is such a deranged set. Just look at ALL the epics that are good crafts our auto-crafts – 17 total. 3 of those were nerfed already: Corridor Creeper, Call to Arms, Spiteful Summoner. And Branching Paths and Carnivorous Cube could hit the nerf hammer in the future too. It’s just insane compared to the epics in other sets. I’m still missing many of those cards even though it’s the set I crafted the most epics from. And yes, I did open the only useless epic of the set four times: Shimmering Courser. I agree, and it’s not just Epics. K&C’s power level in general was INSANE. It seems like Blizzard has this weird thing with last sets of the year – first Gadgetzan and now K&C. They both had very high power levels. On the one hand, I get it, they will be in Standard for the shortest period of time, so Blizzard wants them to have a big higher impact. But they want way overboard with that. I hope that they have learned from that mistake and the upcoming, 3rd set of Year of the Raven won’t be THAT powerful. I definitely agree with you on the desire to have a weaker 3rd expansion for the Year of the Raven. That said, I would be okay with a similar power level to KnC and Gadgetzan as long as every class has a viable or semi-viable meta deck to play with. Part of (or most) the reason the post-nerf Witchwood meta was so fun to play was because there was a reliable way to make at least one deck work in the meta for each class. I’m hoping for something similar in the post-nerf Boomsday meta (and hoping the 3rd Raven expansion gives Priest some much-needed TLC 🙁 ). To My Side! … from zero to hero. And +1 to ‘the end is missing’: It’s missing. also the author of the guide here received a shitstorm, because before WW he listed it under “good cards to craft”, anticipating that there might be a nice updrift for this card once the kraken year rotates out…. # classic: I personally see more merit to craft sea giant than mountain giant. The latter is very powerful, but it really requires to play even warlock – I would rather place it in the good cards to craft. Sea giant sees more play imo as there are various board flood decks (even shaman, token druid, …) or even as a counter to these decks. –	Cabal shadow priest: it sees very little play right now (haven’t seen one in ages, not even in decks with twilight acolyte). And there have been many times where this card saw little play in the past, too. –	Far sight: played in one deck right now, which can leave the meta easily. This card is not good as a standalone. I am very confident that if someone really wants to play shudderwock, that person will check all the decklists out there and come to the conclusion that this card is necessary. For anyone else this card hasn’t seen play since we saw weird OTK decks…. –	Hungry crab: If it’s not a good craft right now, then it should not be mentioned here… kinda confusing. I mean…. It’s a counter card. One cannot play it if there is no murloc meta. Far sight or Cabal shadow priest can at least be played even without a support deck, but this card…. # K&C: no real disagreement (except personal bias), one might want to mention next to the dragonhatcher that usually one copy is enough. In general: would it not be interesting to add some more comments about the “wild viability” of some cards? I primarily craft for standard, but I do also have wild in my mind. And some cards are good in standard, but unlikely to see much play in wild (e.g. corridor creeper, nightmare amalgam, corpse taker, …), while other cards might not shine in the current standard meta, but are likely to stay viable cards in wild even long time after rotating out of standard (psychic scream, UI, …). Thanks for updating the list! Murloc Warleader didn’t make the cut but was referenced as being relatively better than Gentle Megasaur, which did. It’s early, yet, but we might be sleeping on Ratcatcher from The Witchwood set. Having the chance to destroy your Cube or Voodoo Doll while buffing your Rush minion is pretty good. For F2P players, Kobolds & Catacombs represents very good value. Every ten packs purchased gets you at least one from a very deep pool of quality Epic cards. Oh, sorry, I meant to put it into Good cards from Classic! I cut it from the “Best” (since Murloc Paladin is no longer as popular as it was), and forgot to add it to the good ones. Silly me. I agree that the list might be incomplete, but it’s better to not recommend something than recommend something that might not see any play! I will update it again a few weeks from now once the meta settles down more. Hi, how do you know that? 1 epic guaranteed every 10 packs? This has certainly been my experience. I started tracking several weeks ago and have consistently received at least one epic in every 10 packs and a legendary in every 40. The K&C expansion is full of strong epic cards, so it’s a good set in which to invest your gold. Iceblock will be HOF’d so probably want to update this article? 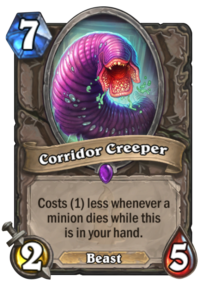 …and Corridor Creeper went from Best to not even on the list in one nerf. It was one of the biggest nerfs Hearthstone ever experienced, not counting total remakes. Usually cards gets +1 Mana or let’s say -1 Health, but in this case it was -3 Attack. Changing a 5/5 to 2/5 basically makes it nearly unplayable. The only deck it still can see play in is basically Evolve Shaman, because if you Evolve it, it still turns into a random 8-drop. Yeps. On the plus side, I got a lot of dust for the pair of them. ? Of course, I opened a Golden one post-nerf, too late to melt for full value. Here we are four months later and I have yet to see anyone drop a creeper on me. I’d say the nerf was effective if the purpose was to kill the card. Glad I dusted the pair of them while I still could. Actually, Odd Paladin also runs two copies. Since Odd Paladin is still one of the best decks right now, I’d say it’s still a good card to craft. Where is hungry crab? Murlocs are seeing quite a bit of play right now and I doubt they’ll be going away any time soon, and it’s essentially an autoinclude in aggro Druid because of that and it’s a low cost good beast. 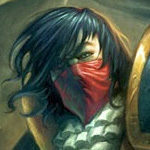 Should we get our dust back after wotg and gadgetzan leave standart? You can dust the cards, but you only get their normal dust value. No full refund for cards that rotate to wild. If you think about a full Dust refund, then sadly no, nothing like that happens. The cards will still be usable in the Wild and this is just a normal rotation. They only fully refund cards if they rotate them “out of schedule” to Hall of Fame. Since they’ve promised that the Classic cards will be available forever in Standard, when rotating some of them out they’ve “broken” that promise and refunded players with full dust (while leaving the card in their collection). We will probably get more announcements regarding this year’s Hall of Fame rotation soon, if it will happen at all (but I do think it will). Which cards could you predict going to hall of fame, if there is a HoF rotation? Is it worth keeping extra copies of these cards to get more dust, does that even work? 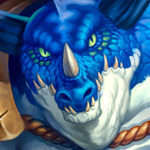 Currently, the community is pretty certain that ice block and alexstrasza will rotate out in HoF. After that, the community is a little bit divised about nourish, but most of them think that nourish will rotate out in HoF. Ice Block, Alexstrasza, Gadgetzan Auctioneer, Wild Growth, Doomguard and Preparation are some of the predictions. But those are only guesses – no one really knows what cards will rotate out (if any). Given that the rotation will happen with the first expansion of 2018, somewhere early-mid April, they should make an announcement soon if anything. But to answer your second question, no, there is no need to keep extra copies. You are getting a refund only for the amount of cards you can put into your deck – so 2 in case of Common/Rare/Epic and 1 in case of Legendary. 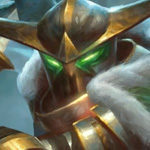 However, there is a certain cool trick to gain more Dust if you don’t own a certain Legendary, for example. 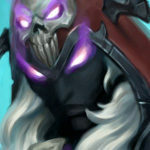 Hmm I am not sure if I agree with “Faceless Manipulator” listed under best epics of classic. Its certainly a good card in the decks where its used but there arent that many decks that can make use of it, the only ones I remember are renolock and cubelock (maybe I missed some that were popular whenever I took a break from this game). I would personally put it under “good epics” instead. The hard part about making lists like this is that you need to balance out cards that “see a lot of play right now” and cards that are just generally “solid crafts”. Given that Faceless is a Classic Neutral, and it has seen play in multiple decks ever since the Classic, I feel like it just belongs to the second category. It’s not only Warlock decks that used to play it. While it was most common (and amazing) in decks like RenoLock and Handlock, decks like Control Shaman, Worgen Warrior (and other Combo Warrior decks like Giants Warrior) or Ramp Druid also played it. If we go even further back, it was actually a common card in Miracle Rogue (Deckhand / Cold Blood combo). Even right now it’s played in Malygos Druid, even though that’s an off-meta deck. So my reasoning was that the card was never “must-craft” at any point, but it overall a good craft given how many times it has seen play in the past, and the fact that it’s commonly seen in the arguably most poweful meta deck right now. To my side! is terrible card by the way. Most of the spell hunter decklists don’t include it. I really don’t think it should be considered “good to craft” … Maybe good to dust. I thought that I explained it well enough in the post itself. Y’Shaarj is a really bad craft right now, because it rotates out in just about 1.5 months. Not to mention that a lot of players don’t have Karazhan. While I acknowledge that the Y’Shaarj version is better, this is the second best option and it’s more future-proof. To My Side! is not a bad card at all. It works very well in the Spell Hunter. It’s just that you simply CAN’T run both Barnes/Y’Shaarj combo and To My Side! (because it would be too inconsistent, it still works with Rhok’delar, but that’s 1 card and not 3 in total). If not for that, the card would be played, and it’s the second best option if you don’t have the Barnes/Y’Shaarj. And while Y’Shaarj will no longer be played in Spell Hunter after the rotation, I’m quite certain that To My Side! will. 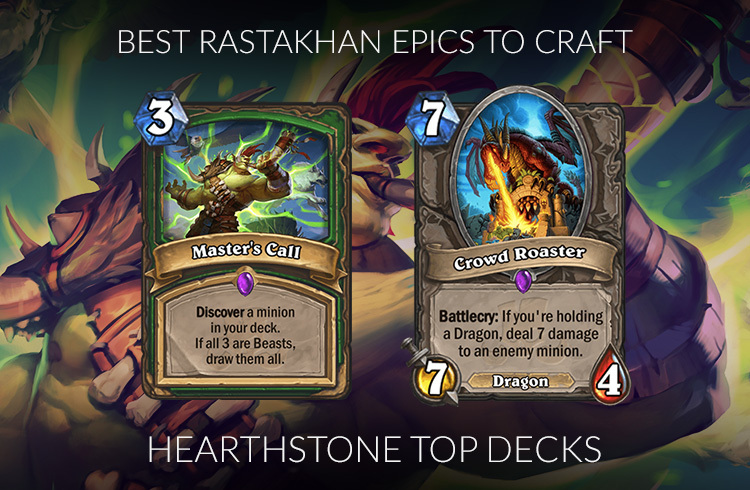 Not to mention that this list isn’t aimed at the pro players – they already know what to craft. If you’re a less experienced player, you can just as well play the slightly worse version at the lower ranks. In terms of fun, it should be even better – Barnes version is really unfun in a way that you so often need to high-roll your way to victory and drawing Y’Shaarj is a terrible feeling. You’re right about barnes and all that stuff but I still think you overestimate the quality of the card itself. It really isn’t great at all. The fact that it is specifically designed for spell hunter, yet no spell hunter runs it, speaks for itself. Like I’ve said, it only speaks about the fact that Y’Shaarj version is just better. If not for Y’Shaarj, every Spell Hunter would run it. Two Animal Companions on Turn 6 is not bad at all, especially since it fits right after the Spellstone (if Wolves survive, rolling Leokk makes them so much better and if they die, it’s a board refill). But you just can’t run those two cards together, that’s the deck’s restriction. 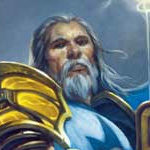 Let me give you another example – Northshire Cleric is a great card, yet Highlander (Razakus) Priest only used one copy. Does it mean that the card is not good enough to play two copies? No, it just means that if you want to run other, better cards, you need to restrict your deck building. 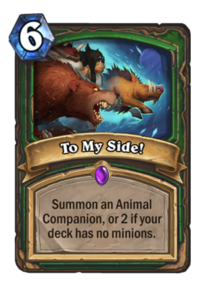 I am 100% sure that the card will see play in Spell Hunter after the rotation, unless another amazing incentive to play minions arises (like the Barnes/Y’shaarj in this case), but I don’t think that they would do that considering how people hate Barnes now. Even more reason for people not to craft it. You basically recommend a card because it may get played after standard rotation. Maybe you’re right and it will be played but how can you know that spell hunter is going to be a thing then? Maybe it will be a bottom tier deck. To my side! is definitely not supposed to be on any “good epics to craft” list right now. You’re still missing my point. I don’t recommend it because it might get played after the rotation. That’s just one of the reasons. Barnes + Y’Shaarj combo is 1400 Gold (or $14) + 1600 Dust. 2x To My Side! is 800 Dust. That’s a massive difference. 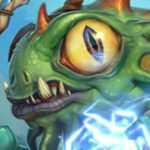 Barnes + Y’Shaarj has exactly 0% chance of seeing play in 1.5 months, because it will rotate out. Even if you don’t think that To my Side will see play, it still can, unlike those two. I haven’t even once said that To My Side are better in the deck than Barnes + Y’Shaarj. But if you’re a more new/casual player and you absolutely want to play the deck right now, you can do it for a much lower investment by crafting To my Side + it will still be playable after the rotation. The card is on the list for the reasons I’ve already explained (not only in the comments, but next to the card itself too). People have their own brains and can decide whether they want to craft it or not after I explicitly said that it’s NOT the best-in-slot, but the best-in-slot combo of Barnes + Y’Shaarj is expensive and rotating out very soon. If you want to play the deck, you need to have either one or the other, and if I was a new/budget player who wants to play the deck, I’d definitely want to save 800 Dust and 1400 Gold. My god, sorry. I wanted to split them between Class & Neutrals first and then merged them together (because the split seemed a bit needless). Voidlord had to disappear somewhere along the way. Adding it now.